Next to desktop PCs, notebooks and tablets, the Computing segment also includes computing equipment. The worldwide revenue of US$104 billion in 2017 is expected to decrease to US$103 billion by 2021. The Consumer Electronics market is subject to constant challenges, innovations and transformations. The exceptional growth it experienced in the past decade has come to an end. This is due to the saturation in the market for telephony but first and foremost it is an effect of the rapidly declining market for TV, Radio and Multimedia. The segment Computing accounted for 32% of the worldwide Consumer Electronics' revenue and 36% of the volume sales in 2016. In 2016, Computing sales decreased by -1.1%, in comparison to 2015 and reached US$105 billion and 0.6 billion pieces. 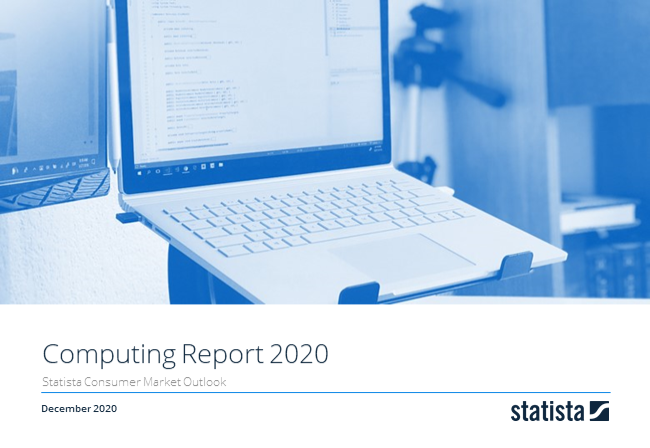 This report from the series of Consumer Market Outlook segment reports gives an overview of the computing market from an international perspective. You can find further information on the topic on Consumer Market Outlook/Computing.